I could eat couple pounds with ease. Add olives and tomatoes – oh my! For lunch is what I want to be fed. Way too good not to be shared. Cheese and fruit is what I crave. You know, like ice cream and chocolate fudge. It causes heart attacks in mice. Saturated fat is the one to blame. For fattening mozzarella it’s a great substitution. And you will be my favorite fella. A homemade, vegan mozzarella that's healthier than store-bought and much better for you than dairy cheese. Place all ingredients, except 1 1/4 cups water and agar, in blender and blend on high speed until mixture is smooth. A heavy-duty blender works best for this recipe; other blenders may not get the mixture smooth enough. Scrape down sides of blender with a spatula and blend again on high speed until mixture is very, very smooth and creamy. (I recommend using a heavy-duty blender to get the mixture very smooth and creamy.) Set aside. Place remaining 1 1/4 cups water and agar in saucepan, and heat over medium high heat until boiling. Stir occasionally with a heat-proof spatula. Reduce heat and simmer for 1 minute. Remove from heat. Immediately add agar mixture to ingredients in blender. Scrape pan with a spatula to get all the agar mixture. Blend until smooth. Promptly pour mixture to an oiled container. Cover and refrigerate for 4 hours or until set. Agar is a cooking ingredient that’s made from a sea vegetable and is used as a thickener. 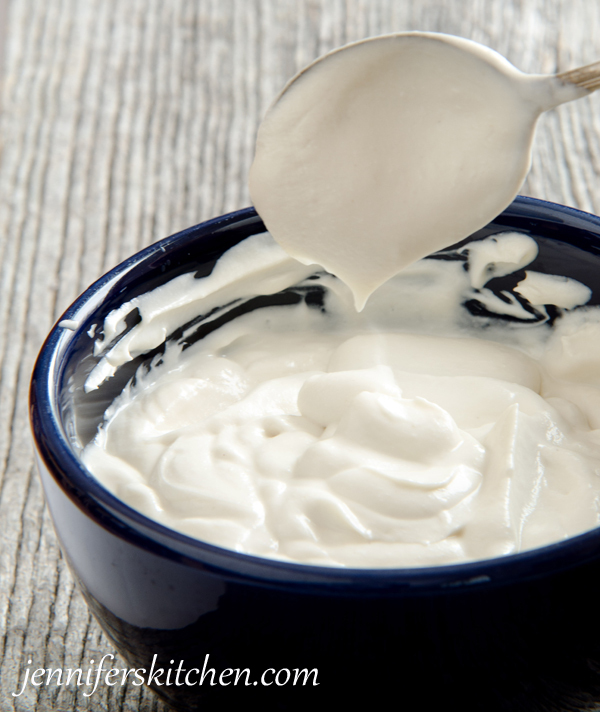 I use agar to make this delicious, soy-free, vegan sour cream. If you’d like to know more about agar and where to buy it, check out this post I wrote about it. If you’d like more vegan cheese recipes, I gotcha covered. 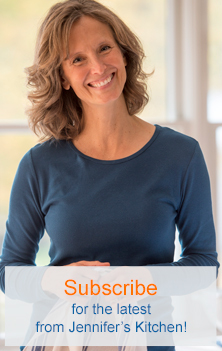 I have several recipes – including some that don’t use nutritional-yeast or agar. That’s a good question. Definitely the less oil we use in our diet the better, since all oils (even the so-called healthy ones) are still a refined food. You certainly could try this recipe without oil, and if you are used to eating simple, whole foods, it may work for you; but it would not have the same mouth feel or taste as those you can buy, as they contain much more oil than this recipe. My goal in creating this cheese recipe was to make a cheese substitute that was healthier than the ones available in grocery stores. While this cheese is certainly is not as healthy as an apple or a carrot, it is still far, far better for you than vegan (and dairy) cheese available commercially. All of the vegan cheeses (that I’ve seen) that are sold in the grocery store have well over TWICE the amount of oil in them as this recipe. On top of that, nearly all the other ingredients in commercially available vegan cheese are refined ingredients. For example, refined starch and modified food starch are the two main ingredients (besides oil) in the leading vegan mozzarella cheeses. These refined foods contribute to obesity, heart disease, diabetes, and other diseases just as much as does oil. And the commercially-available vegan cheeses often contain other ingredients that I’d like to stay away from as well. 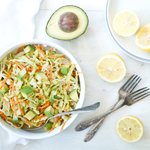 On the other hand, the main ingredient in this recipe is nuts – a whole, plant-based food that provides fiber and other essential nutrients. While I will never claim that the coconut oil contributes to the healthiness of this recipe, I will say that for someone who is eating dairy cheese or commercial vegan cheese, this recipe is a huge, healthy step in the right direction. Research more. Coconut oil is very good for you and has the type of fat your body needs. Also, the recipe is hardly going to be used and eaten by one person in one sitting so I don’t think the 1/4 cup will be a big deal- when used medicinally a single person may take up to a tablespoon of coconut at each meal- this type of fat actually helps people loose weight and it kills candida yeast which is a problem for many people. Coconut oil is not a type of fat our body needs. It has, in this quarter cup, over 470 calories and over 47 grams of saturated fat. Even if this recipe produces 2 cups of cheese, it is going to have two to three times the calories and fat of dairy mozzarella, and two to three times the saturated fat on a volume (and mass) basis. Along with the small amount of supposedly “good saturated fat” in coconut oil—medium chain triglycerides—comes the much higher proportion of long-chain triglycerides that is definitely bad fat and the great majority of the fat in coconut oil. The presence of the MCTs in a small proportion does not negate the damaging LCTs that are the majority of the fat. We’re going to end up with a generation of vegans whose cardiovascular health is as bad as meat eaters because they believe a lot of garbage about coconut oil. Coconut oil is plant based and is one of the most healthiest oils you could possibly eat. Do your homework. I agree with Diane. Coconut doesn’t seem to be healthy. It contains more saturated fat than other oils. This is also why it gets firm soon. Thank you for your comment. I so much appreciate Dr. Greger’s videos – very informative and based on sound research. The less oil we use in our diet the better, since all oils (even the so-called healthy ones) are still a refined food. I have tried to minimize the use of oil in my recipes. I don’t believe the claims that coconut oil is “healthy” – it is a refined food and contributes to disease. 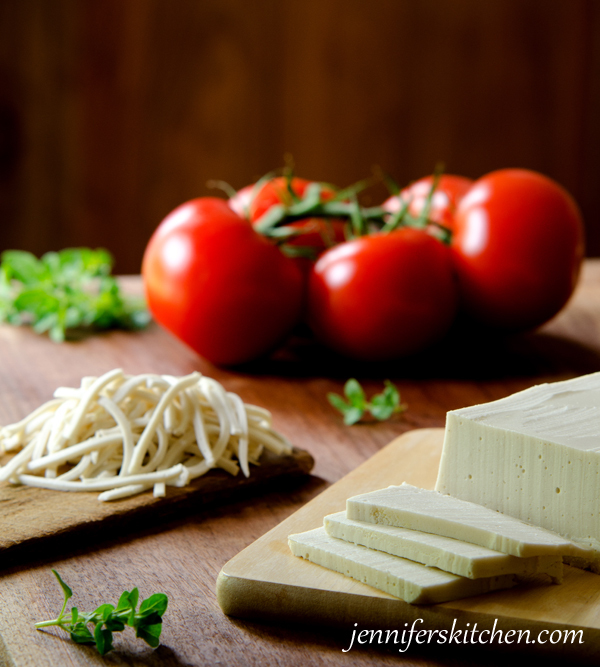 For this vegan mozzarella cheese recipe, I wanted a cheese substitute that was healthier than the ones available in grocery stores, which are loaded with oil. For someone who is eating dairy cheese or commercial vegan cheese, this recipe is a huge, healthy step in the right direction. Thanks again for pointing out Dr. Greger’s videos. They are an excellent resource for understanding what constitutes a healthy diet. Well I have a wee question. Why did you even google vegan cheese if you want to eat only whole unprocessed oil free foods? It’s cheese, it’s about to have oil in it. Complaining about it is like complaining the rain is wet. This recipe is awesome, I have made this mozzarella few times now but instead of cold water I drop it into ice cold brine and keep it in the fridge for up to a week. It sits in my salads, it melts on my pizza, heck we even put it into pasta shredded. Thank you Jennifer, this recipe is all thumbs up in our house. Youre soooo right !! … this cheese gets hard enough to grate ? and thats w using the agar agar ?? There was a study funded by Canola Oil Council that was misleading and led to a lot of headlines that coconut oil is unhealthy. The study was quite biased. It’s true coconut oil is saturated fat, but not all saturated fats are the same. Can this mozzarella be put on lasagna and pizza, and baked? Yes! 🙂 It doesn’t exactly melt like dairy cheese melts, but it does soften and sort of does its own kind of “melting” when baked. I used my julienne peeler to shred this cheese, It’s a cool little tool, and I use it for lots of things, like shredding carrots for salads. It’s quite easy to use and only takes few minutes to shred a whole block of this cheese. I’m glad you liked the Skinny Scalloped Potatoes. Thank you for your comment. The skinny scalloped potatoes are in the oven now and smell oh so good!!! Is it similar to Daiya when baking? Thanks! It is similar, but the Daiya cheese is a little bit more “melty” and, of course, the taste is different because the ingredients are not the same. One quick question: Do you ever have trouble with agar agar setting up and becoming rubbery? Every time I try to use it, I end up with food that has rubbery chunks in it and a foul taste, which ultimately ruins whatever recipe I’m using it in. Do you have any tips? Thanks in advance! There are a few things you can do to help prevent problems with agar. #1 Use the minimum amount of agar needed to achieve the results you are looking for. #2 When you combine the agar powder with your liquid, be sure to stir it immediately until it’s thoroughly dissolved. #3 After boiling your liquid agar mixture, immediately combine it with your other ingredients and blend it quickly. It begins to set up remarkably fast. #4 Be careful to avoid getting agar on the edges of your blender or anything else that will come in contact with your mixture. Because it sets up so quickly, it will congeal on the inside wall of your blender, and then when you pour your mixture out, you’ll get those rubbery chunks in your final product. My daughter and I are currently writing a gluten free cookbook, which will have many delicious bread recipes in it. If you are signed up to receive my updates, I will be able to let you know as soon as it’s available. I’m not sure if you’re going gluten-free due an intolerance or because you have been duped by today’s marketing. We mill our own flour and have been making our own bread and dough for years. The benefits to natural flour and real bread is astonishing. Please check out the book No More Bricks. The nutrients that are removed during the commercialization process of flour make any flour or grain product is the problem. Not gluten. Do a little research and ask yourself ” why do they have to fortify the bread with vitamins amd nutrients?”. Real bread has over 32 natural vitamins and minerals that are essential to a healthy vegan diet. You’re welcome, Hope. I think you’ll enjoy it. Thank you for your comment. I definitely would like to try this. In your opinion does it taste pretty good by itself or better paired with or in a dish? I can eat a whole plate of it by itself – or with some grapes on the side. I really like it. Keep in mind it doesn’t taste like dairy mozzarella; but it is quite good. Thank you. I will definitely be trying it soon. One more question? Does the coconut oil need to be in melted form or is solidified fine? I use solid coconut oil and my blender gets it softened and combined with the other ingredients very well. However, if you don’t have a heavy-duty blender, you may want to melt the oil first. Hi. I’m curious to an alternative to cashews for creaminess in recipes. I’m sure there are nut allergy vegans out there and, I just don’t care for the amount of calories and sat. fat nuts have. Please advise if you have tried anything else to make cheese. While I’ve used sunflower seeds to replace nuts in some recipes, like this vegan ranch salad dressing, they probably wouldn’t work in this recipe. In my opinion, vegan mozzarella needs the neutral flavor and creaminess that the cashews offer. On the other hand, substituting with sunflower seeds may work for my sandwich cheese recipe. However, I’m not sure, since I’ve never tried it. You may be interested to read some information I have about nuts here. Do you have any suggestions to replace the cashews? I can’t have cashews but other nuts are fine. Pine nuts maybe? This vegan mozzarella really needs the particular flavor and creaminess that the cashews offer. I don’t think you could get that with any other kind of nut or seed. But, of course, you could always try it and see. I think macadamia nuts would be the best option. Blanched almonds may work, but be sure to blend them extra well so the cheese won’t be gritty. I am curious if the agar can be swapped with arrowroot powder/flour. I’ve had a hard time find agar and Ive found other cheese recipes that call for arrowroot – just curious if they are interchangeable? In order to get the correct texture and consistency for this cheese, you’ll need to use agar. I have not been able to find agar in my grocery store either, so I order it through Amazon. It’s a good price, and with Amazon Prime I can have it in two days with free shipping. I have found that agar can be purchased inexpensively at Asian grocery stores. You might want to look into that if you have any an Asian markets in your area. agar can be found at whole foods in the ethnic/ Asian section or, a local Asain market should carry it. I don’t have granulated garlic and onion, could I use garlic powder and onion powder? If so how much do you think I should use? I can’t wait to make this recipe. It looks so good! I’m new to agar powder/flakes, but I’ve been looking at a lot of different “cheese” recipes that use it and 2 TABLESPOONS seems like A LOT of agar compared to other recipes I’ve seen for similar amounts of “cheese” – which only use 2 teaspoons. Unless it calls for flakes – which use tablespoons. But conversion wise two tablespoons of agar powder is about twelve tablespoons of agar flakes. Is this accurate? Was there possibly a typo? If not, what would be the reasoning for so much agar to thicken this recipe vs. the others I’ve seen? I’ve never tried it with the flakes, so I can’t speak to that. But I do use 2+ tablespoons of agar powder in this recipe. I tried less, and it does work, but it didn’t get the texture I was looking for. My other cheese recipe only uses 2 1/2 teaspoons, and it works great for that one, but I like more agar in this one. Feel free to experiment. Maybe you would prefer the softer texture you get from using less agar. Thank you for the reply! I tried using just 5 tablespoons of flakes and it turned out rather soft and crumbly. It was fine since I was using it for a lasagna, though. The flavor was amazing! I’ll definitely be using this recipe in the future. I’m eager to try it with the correct measurements of agar. Thanks for the great recipe. Thanks so much for reporting back to us on your experiment with agar flakes. Good to know! Loved the recipe and the poem! Can’t wait to try it! I’ve had this webpage bookmarked in my favorites for about two months now and I’ve finally gathered all the ingredients! I was surprised to see that it doesn’t appear that you need to soak the cashews. Is that the case? I just want to make sure I’m not missing anything by not soaking them, since that’s the typical cashew cheese prepping procedure. Thanks for the cute poem and (I trust) delicious recipe! Nope, no need to soak the cashews. Just be sure to blend them until very smooth – especially if you don’t have a heavy-duty blender. Hey Jennifer, I love your recipe! Finally I have found an easy recipe with ingredients I can find. 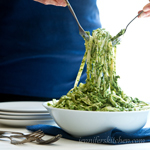 I was wondering whether you could post the recipe with european measurements as well? Hi, can I substitute tapioca starch for the agar??? In order to get the correct texture and consistency for this cheese, you’ll need to use agar. Tapioca starch won’t give the right consistency. I have not been able to find agar in my grocery store either, so I order it through Amazon. It’s a good price, and with Amazon Prime I can have it in two days with free shipping. I’ve been using this recipe for a few months now and we love it on pizza! Usually one recipe is enough for three pizzas. We don’t typically eat three pizzas so close together so I’m wondering if you’ve had success freezing this? Also, do you know how long it lasts in the fridge? I have always tried to use it within a week or so because I wasn’t sure. In the refrigerator, it lasts about 7 days. I’m blushing 🙂 Thank you Marsha for your kind comment. I am so glad you liked the recipe! Did you do a nutritional breakdown of this recipe? Cal, Fat, Protein etc? I don’t have the nutritional info for this recipe; you can read more about why I don’t have nutrition information for my recipes here. Almost all of my recipes fit in my weight loss program and one of the benefits of the program is there’s no need to count calories or take too much time with nutrition labels. I encourage people to know the ingredients and lean toward whole, natural foods. 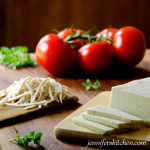 I can tell you that this mozzarella is a good source of magnesium, vitamin K, manganese, protein, healthy fats, calcium, and fiber (much higher in fiber than any cheese you can find in the grocery store). Sorry I don’t have the information you’re looking for, but I hope the info at the link above is helpful. And I’m glad you liked the mozzarella! Was super excited to try out this recipe, but I made it and ended up having to scrape it off of my pizza. The entire thing tastes only like coconut.. not anything like actual cheese or even an acceptable substitute in meals/recipes. Was really disappointed..
My guess is that the coconut oil you used was strongly flavored. As I stated in the recipe, I use a mild (or flavorless) coconut oil when making the cheese, and mine doesn’t have even the slightest hint of coconut taste. I hope you’re able to try it again with an oil that doesn’t have a coconut flavor or odor. (You could also try another oil besides coconut.) That should make a big difference. You could use just about any mild-tasting oil (like very mild olive oil) in this recipe. The coconut oil helps the cheese to be a bit more firm when chilled, but if you follow the directions closely the cheese will still be quite firm using another type of oil. Hi Jennifer, I’m so happy to have found your blog! Did I miss another comment or instructions on soaking the cashews or not before blending? I’m planning to make this cheese tomorrow. I usually soak all nuts before blending to remove enzyme inhibitors and to improve smoothness. Whether you soak the cashews or not is a matter of personal preference. I personally do not soak nuts before using … primarily because, while there is a lot on the internet about soaking nuts, I haven’t been able to find any actual scientific research to back it up. Advocates for soaking nuts claim the need to reduce the phytic acid in the nuts; however, the body does need some phytic acid. I have found that those who avoid eating raw grains (a practice for which there is a great deal of scientific evidence) have no issues with eating nuts that have not been soaked. 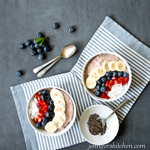 Raw grains have enzyme inhibitors and other elements in them that affect nutrition absorption in the body overall and cooking the grains well deactivates these elements. That said, you certainly may soak them if you prefer. You would probably want to adjust the liquid amount in the recipe if you do. I’m so glad you found my blog too! 🙂 I hope you enjoy the recipes. Sorry I don’t have the metric measurements included. 1 cup is 23.66 centiliters, 1/2 cup is 11.83 centiliters, etc. There is a total of 1 7/8 cups of water in the recipe. 5/8 cup (1/2 cup + 1/8 cup) goes in the blender in step 1. The remaining 1 1/4 cup of water goes with the agar in step 3. I was confused also, because when you put 1 1/4, I assumed you meant 1 cup plus 1/4, but that goes over 7/8 cup, so you must have meant, one 1/4 cup, instead. Sorry for the confusion. I edited the recipe to make it more clear. You should put 5/8 cup of water (1/2 cup + 1/8 cup) in the blender in step 1. And then you will use 1 1/4 cups of water (1 cup + 1/4 cup) in step 3.
do you use fresh lemon juice or do you use bottled lemon juice? I use Minute Maid frozen lemon juice. I like it because it doesn’t have any additives and it’s convenient and time-saving. You can also use regular bottled lemon juice. I haven’t tried fresh, but I think it would “work” fine, but the flavor would be ever-so-slightly different. Hi!!! The taste is great, but mine didn’t set! I used the agar powder not flakes and it gelled right up. Is it possible I over blended afterwards??? Hmmmm … I’ve never had that happen before. It is possible that you over-blended it after adding the agar/water mixture. It just needs a quick blend to make sure all is mixed. Also, it’s important to add the agar/water mixture to the blender immediately after removing it from the heat and then pour the blended mixture into a container right away. But, of course, you could always try another nut and see. I think macadamia nuts would be the best option. Blanched almonds may work, but be sure to blend them extra well so the cheese won’t be gritty. No need to soak the cashews. We just rinse them (in a colander) under hot water before using them. Hello! I am very excited to try this recipe! I’m just wondering why the agar powder is divided into two different measurements when you’re just putting it in all at once? Just wondering if I missed a step? Thanks so much! Sorry for the confusion. It isn’t technically 2 measurements, but rather a total of 2 tablespoons and 1 1/4 teaspoons. Another way to say this would be 7 1/4 teaspoons, since there are 3 teaspoons in a tablespoon. I don’t know if it was mentioned but when buying agar be careful of the type. Agar powder and agar flake are very different in how to incorporate. It takes 3 time the flake to do the same setting property of powder and needs to be cooked longer to dissolve properly. Found out the hard way making vegan deviled eggs. Yes, thank you for pointing this out, Emily. It’s important to use agar POWDER in this recipe. I think if you leave out the onion, it will be lacking in flavor, so I would try to add more flavor somehow. Extra garlic would help, but maybe a bit more of another seasoning would be good too. Not sure what to recommend … maybe a tiny pinch of basil or oregano?? Wow! This is by far the best vegan mozzarella I have ever had. Store bought vegan mozzarella is nasty and leaves an aftertaste. This mozzarella is amazing. I have to stop myself from eating it. I just made a flatbread pizza and it is so creamy and delicious. Thank you!!!! So happy you liked it too! One of the members in my vegan Facebook group asked if it can be shredded. Mine turned out like the fresh mozzarella you see as an appetizer. Thanks. I’m making the fruit pizza tonight. I’ve been chilling the filling and the crust is cooling. I’m so excited to try it. Mmmmm … I want to come to your house for fruit pizza! 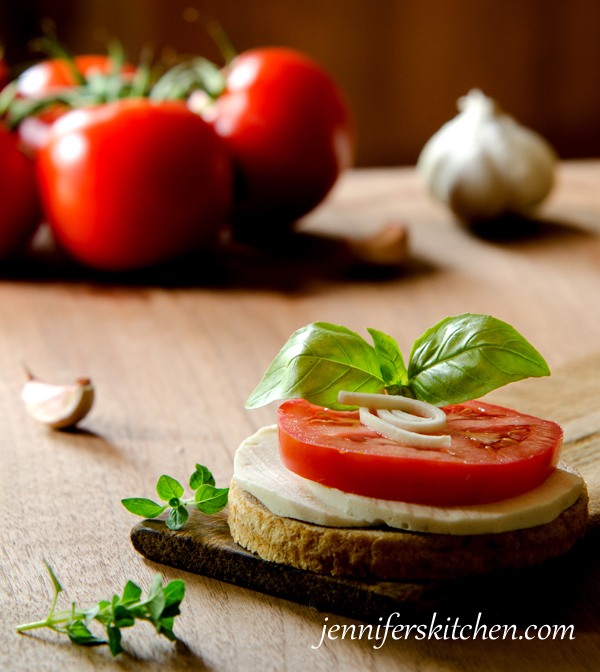 I have shredded my mozzarella with a sharp shredder and also with my julienne peeler, but I have noticed that this recipe turns out a little different for everyone depending on the brand of agar they use. For some it turns out firm; for others it’s more soft. What is the shelf life of his cheese? Will it melt on pizza? In the refrigerator, this cheese lasts about 7 days. Can you freeze his cheese? I’ve tried freezing this vegan cheese and the texture changes significantly. However, I’ve not tried baking it (like on a pizza) after it was frozen. My guess is that it would be very good if you planned to bake it after you freeze it. Otherwise, I would stick with fresh. I was going to post the link to this recipe in one of my Facebook groups, but after reading your note above that says your recipes “cannot be included in any other recipes collection, online or offline, without prior written permission.” I’m not sure if this is okay since it’s a group where recipes are collected or posted and shared. I just want to check before sharing it to the group. Thank you so much for asking. 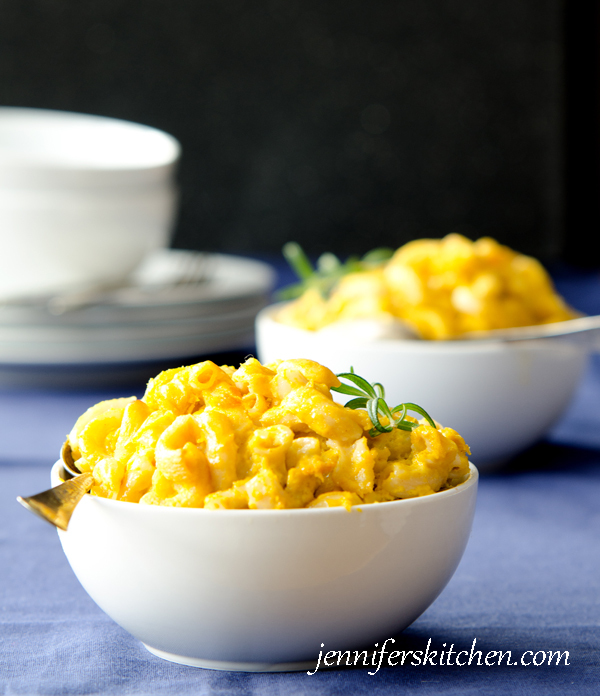 You are more than welcome to post the link to this post/recipe. I just prefer that you don’t copy the recipe and then paste it into the Facebook post.